The Knights of Columbus is the largest Catholic mens fraternal organization in the world. 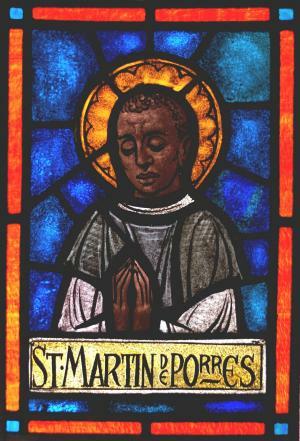 The St. Martin de Porres Council # 4738, which serves both Immaculate Conception and St. Luke Church, was chartered on February 22nd, 1959. It originally consisted of seventy-nine members, several of which are still active in the council today. Most recently, the St. Martin de Porres Council has perfomed sandwich sales, sold COAL sweepstakes tickets, managed Lighthouse Catholic Media CD kiosks for both churches, sponsored and maintained the parish website, held multiple Texas Hold'em Card tournaments, done baby bottle fundraising drives, contributed to valuable building maintenance, hosted our annual Columbus Day banquet and sponsored a fall outing for the alter servers and other parishoners at Carpenters Pumpkin Farm. Most recently, money raised by our council has gone to support the Expectations Womens Center (formerly the Pregnancy Care Center), March for Life in Washington, DC, EWTN, the Gatehouse in Williamsport, Jersey Shore Summer Recreation, and gifts to the religeous at Christmas time. In 2010, eight of our council members joined the order of the Fourth Degree. 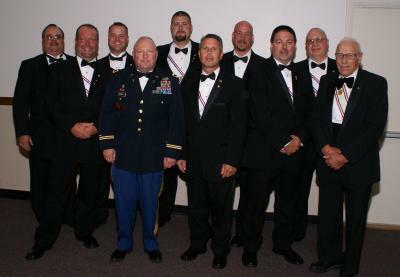 Members of the Fourth Degree are given the option to serve as color corps in regalia. The council is proud to continue to serve the parish communities of Immaculate Conception and St. Luke Church. Monthly meetings are held on the third Wednesday of each month at 7:30 pm in the basement of St. Luke Church. Any and all practicing Catholic gentlemen over the age of 18, who are in union with the Holy See, are invited to become members of the Knights of Columbus. A practicing Catholic is one who lives up to the Commandments of God and the precepts of the Church. Members enjoy the benefits of our top rated life insurance program. For more information or to join the Knights of Columbus please contact Mark Schall at (570) 398-7763. 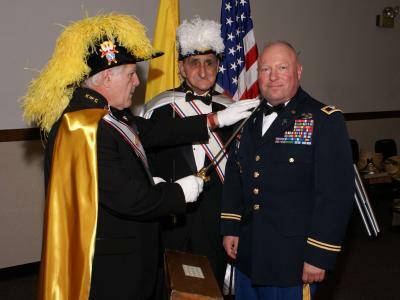 To visit the official homepage of the Knights of Columbus Supreme Council click here.